A professional and seasoned Human Resources and Office Administration Specialist with over 20 years of experience. Her current responsibilities include: managing all aspects of general office operations, such as internal accounting, compliance, client services, and special events planning. Grace has earned a degree in Business Administration and certification as a Professional in Human Resources. She previously worked as a Human Resources Manager specializing in employee benefits administration, including 401(k) administration. INTERESTS: Reading, yoga, photography and spending quality time with family and friends. 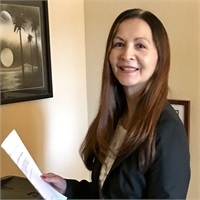 Active in various community events such as fundraising and participating in Breast Cancer Walks, Lions Club and Pleasanton Chamber of Commerce. Grace and Anthony Carr recently celebrated their 38-year anniversary and have two grown children and one adorable grandson.